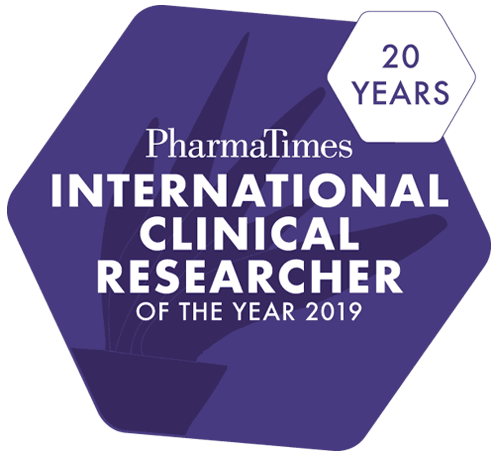 Designed to challenge, recognise and reward the talent and passion of industry and academic researchers, the PharmaTimes International Clinical Researcher of the Year is a rigorous, real world competition that attracts entrants from all over the globe. Comprising three-stages, the competition offers a unique opportunity for professionals working within the research fraternity to benchmark their skills against their peers in a learning environment, and have them judged by an independent steering group of high-level industry leaders. The categories have been designed so clinical researchers at all levels in their career can enter, develop and be rewarded for their efforts. A fantastic way to gain professional recognition from senior clinical operations leaders and key stakeholders, leading to career progression and development, all finalists receive qualitative and quantitative feedback from the judges together with a signed Certificate of Achievement. Launched in 1999 as the only competition of its kind for Clinical Researchers, it continues to be an opportunity to recognise clinical excellence in our industry today. The current environment is dynamic and challenging for Clinical Researchers, this means that career development has never been more important. Last Year's new category (In-house Clinical Research Associate) was a huge success and has been retained for this year - alongside a 2019 debutant - Start up. More information on these and other categories is available here.